As compact urban living becomes the norm, there has become a higher demand for smart storage solutions. As a result, there are more innovative storage ideas than ever. Aside from storage baskets and shelving units, you can now install custom-made built-in wardrobes, shape-shifting storage cubes, and even concealed units. 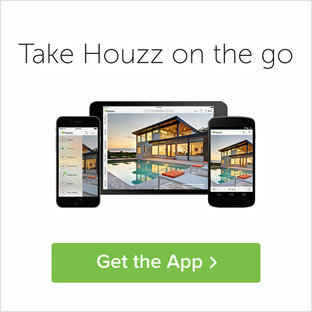 Browse the photos on Houzz for inspiration for a wide variety of storage and wardrobe solutions, from cube storage to wall units, shoe racks and sliding doors. You’ll find walk-in wardrobes boasting spinning shoe racks, lounge chairs and display cases with lighting; as well as more simpler storage solutions like room dividers that double as storage, pull-out baskets and floating shelves. 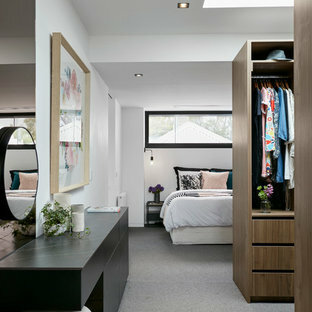 If you decide to revamp your wardrobe or storage space, it’s important to consider whether built-ins are a suitable option. Although more expensive, shop-built and installed components are more durable and bring all of your elements together in one unit. If you can’t afford a built-in wardrobe, or if you need more storage, consider baskets, dividers, storage containers, hooks and racks to help ensure every item has a place, and opt for sliding doors to save space. A professional organiser can help you get setup. 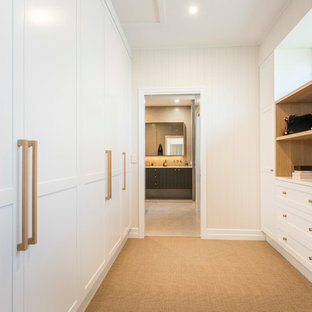 How many cabinets should built-in wardrobes have? 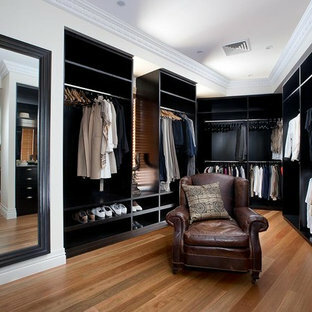 The size of your built-in wardrobe should be largely dependant on how much hanging space you actually need. Just because you have a blank wall, for example, doesn’t mean it has to be filled with a large wardrobe. Position shelves above hanging space to be more ergonomic, and only add drawers if you plan on having an open wardrobe as this will add to the overall price. A dresser or chest of drawers is a better option for fold-away clothes, so long as you have the room. Shoe collections can also take up ample room in a built-in wardrobe, so consider a purpose-built cabinet or shoe racks instead. How do I organise my wardrobe or cupboard? With so many shoes, ties, clothes and bags to stash, wardrobe organisation is key. Use hooks, storage baskets, drawer partitions or dividers to keep your belongings in order. Storage baskets are great for storing things like belts and scarves, while shelf dividers can keep knits, jeans and shirts neatly packed away. Take pride in your shoe collection? Create a shoe storage display using a few strips of moulding mounted to the wall so you can hook your shoes. Similarly, an open robe can make your clothing a feature. What extras can I include in my wardrobe design? 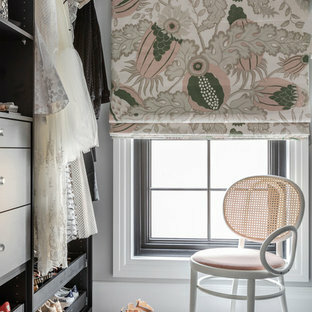 If you want a luxurious wardrobe, consider including a small sitting area with a window seat, storage ottoman, or lounge chair. 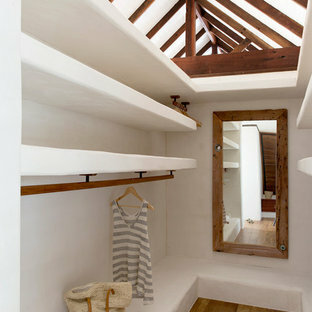 You could also add a makeup vanity, complete with a jewellery box and makeup drawer. A viewing area with full-length mirrors will also make getting ready a breeze. Wardrobe lighting will bring the space to life – use display lighting to showcase your clothing, task lighting for functionality and mood lighting to set the scene.